Stomach cancer is the third-highest cause of cancer-related deaths worldwide. Most cases are detected at late, hard-to-treat stages. Our researchers are revealing how stomach cancer develops and spreads. Their goal is to reduce deaths from stomach cancer through better detection and treatment. initiation and spread of numerous types of cancer. 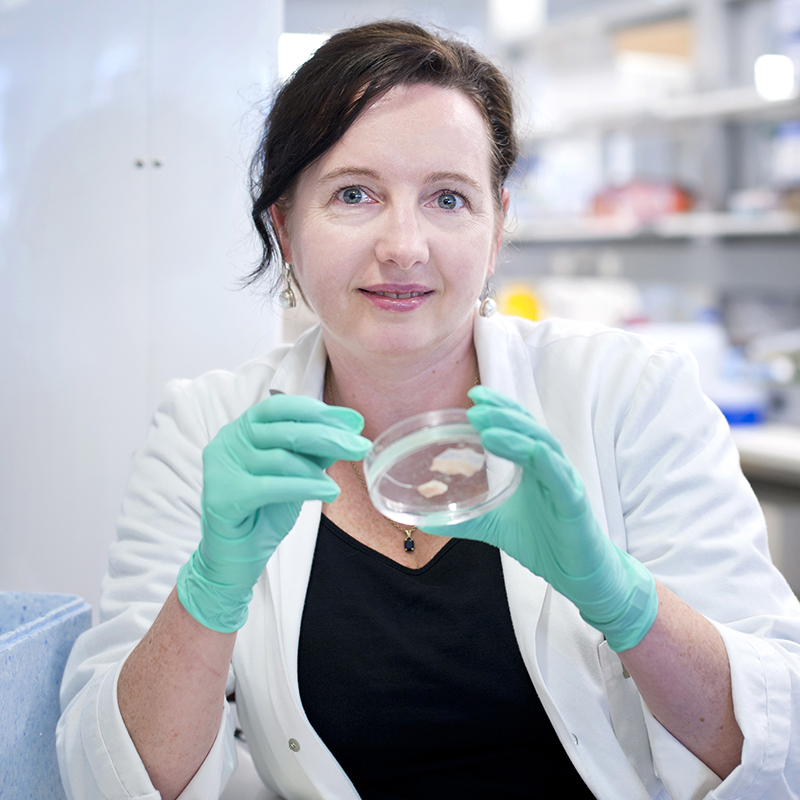 Developing new laboratory models of stomach cancer to enhance pre-clinical research. Deciphering how inflammation promotes cancer growth and spread. Revealing cell signalling pathways that control the growth of cancerous cells in the stomach. Stomach cancer is uncontrolled growth of cells in the stomach lining. Most stomach cancers are of a type called ‘gastric adenocarcinoma’. This indicates they arise from cells that normally secrete digestive substances into the stomach. Occasionally cancers in the stomach may arise from immune cells or other tissue types. More than half of stomach cancers occur in people who have inflammatory conditions in their stomach, termed gastritis. These inflammatory conditions are frequently caused by infection with the bacterium Helicobacter pylori. 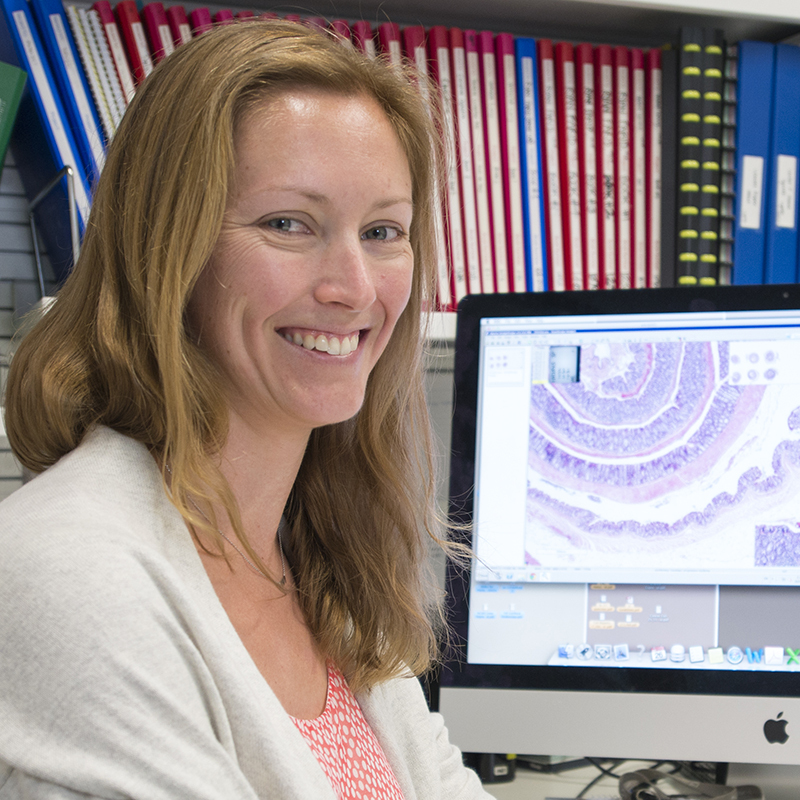 Our researchers are discovering how inflammation in the stomach lining promotes cancer. Stomach cancers begin as a tumour within the stomach lining. As this grows it can invade through the stomach wall. Stomach cancers at these early stages are rarely detected, because they cause only mild indigestion-like symptoms. As stomach cancer develops further, it can spread to nearby lymph nodes. Some cells develop the ability to spread to other organs, called metastasis. Digestive troubles such as vomiting, diarrhoea or constipation. Bleeding into the digestive tract. Anaemia, from loss of blood. Weight loss, weakness and fatigue. Stomach cancer is the fourth most common cancer diagnosed worldwide. In Australia, more than 2000 cases are diagnosed annually. Most people with stomach cancer are diagnosed with advanced disease. Current options for treating these people are rarely effective. This contributes to stomach cancer being the second-highest cause of cancer-related deaths globally. More than 1000 Australians die each year from stomach cancer. A family history of stomach cancer or bowel polyps. Some genetic changes associated with stomach cancer susceptibility have been discovered. Inflammation of the stomach, such as gastritis or a stomach ulcer. Consuming certain types of preserved or pickled foods. Having the blood disorder pernicious anaemia. Having AIDS, which can increase the risk of both gastric adenocarcinoma and stomach lymphoma. If a stomach cancer is detected early, when it is restricted to the stomach lining, it can be cured by surgical removal. Early detection through screening programs in some countries has been found to reduce deaths from stomach cancer. Most cases of stomach cancer are diagnosed at a late stage when surgery is not curative. Chemotherapy and radiotherapy can be used to kill cancer cells. Unfortunately these are rarely effective in stomach cancer. Some targeted therapies are showing promise for treating stomach cancers that have certain genetic changes. Cancer Council Australia offers support for people with stomach cancer and their families.